Women are more likely to experience urinary incontinence, prolapse and faecal incontinence 20 years after one vaginal delivery rather than one caesarean section, finds new research published in a thesis from Sahlgrenska Academy. Urinary incontinence, prolapse and faecal incontinence are common conditions affecting adult women of all ages and can have a negative influence on quality of life. This unique study, performed by researcher Maria Gyhagen at the Sahlgrenska Academy, looked at the prevalence and risk factors for urinary incontinence, prolapse and faecal incontinence 20 years after vaginal delivery or caesarean section. The SWEPOP (Swedish pregnancy, obesity and pelvic floor) study was conducted in 2008 and data was obtained from the Medical Birth Register about women who had delivered only one child between 1985-1988 and had no further children. A questionnaire was sent to the women in 2008 and 6, 148 completed it answering questions on height, weight, urinary or faecal incontinence, genital prolapse, menstrual status, hysterectomy, the menopause and hormone treatment. Two decades after one childbirth, vaginal delivery was associated with a 67% increased odds of urine incontinence (UI), and UI being present more than 10 years later increased by 275% compared to caesarean section. - Current BMI was the most important BMI-determinant for UI, which is important, since BMI is modifiable, says Maria Gyhagen. The single most important risk factor for symptomatic prolapse was delivery via the vaginal route. Birthweight above 4500g was a risk factor for symptomatic prolapse after vaginal delivery. Symptomatic prolapse was also an important risk factor for urine incontinence. The prevalence of faecal incontinence was higher after vaginal delivery compared with caesarean section. Perineal tear of the 2nd degree almost doubled the prevalence of faecal incontinence. Episiotomy was protective against late faecal incontinence. The prevalence of urinary incontinence, prolapse and faecal incontinence did not differ between women delivered by acute compared to elective caesarean section, indicating that it is not until the fetus passes through the delivery canal that the injuries occur that causes these pelvic floor disorders. This is the first study of its kind to show that one vaginal delivery influences the long-term risk of developimg urinary incontinence, prolapse and faecal incontinence compared to one caesarean section. The results of this study provide important new information for women who are concerned that a vaginal delivery will lead to long-term pelvic floor damage. 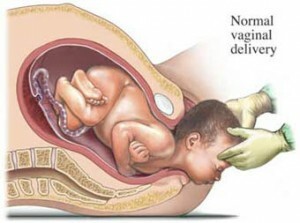 However it is important to note that when choosing the most suitable form of delivery it is necessary to consider numerous medical issues that can potentially influence the health of the mother and child. The thesis Long-term consequences of vaginal delivery on the pelvic floor. A comparison with caesarean section in one-para women was defended by Maira Gyhagen on January 25, 2013. Long-term consequences of vaginal delivery on the pelvic floor. A comparison with caesarean section in one-para women. Post Review about Long-term consequences of vaginal delivery on the pelvic floor Click here to cancel reply.